Disposable contacts are an attractive option to many because of their convenience. They can be popped into the eyes in the morning, then tossed in the garbage at the end of the day. However, this ease of use seems to have overshadowed the need for proper care and maintenance of disposable contact lenses. Risky behavior with contact care is a big – and continually growing – problem and comes with serious consequences for the health of the eye. What behaviors lead to contact lens problems? Touching the lens with unwashed fingers, not cleaning as often – or as thoroughly – as you should and wearing lenses longer than recommended. 30-day lenses get used for more like 60 days and even use of daily wear disposables get stretched by “accidentally” falling asleep in them and deciding to just go ahead and wear them for a little bit longer – like 48 hours. The CDC recently reported that nearly all contact lens users are guilty of violating at least one rule of proper contact lens care and wear. Your eyes feel it when you haven’t been diligent with contact lens care. 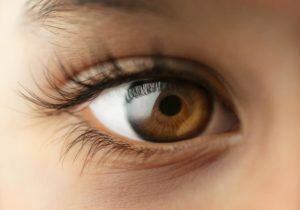 For many contact lens wearers, dry eye symptoms are simply an annoying compromise for the benefit of wearing contacts. The burning, stinging and redness can become routine. But, more damage than just the irritation of dry eyes is occurring. Without proper lubrication, your cornea – the surface of your eye – is more exposed and vulnerable to damage from the elements like; pollution, pollen, sun, dust and bacteria. While dry eye symptoms may seem relatively harmless, they are actually indicators of ocular surface disease, a condition where the surface of the eye has been compromised and is not functioning properly. Using contacts with ocular surface condition problems leads to even more issues. Contact lens wearers with ocular surface problems must make sure lens care is hygienic to the point of being sterile because they are prone to infection. But, as mentioned, improper care and wear of contact lenses happens all too frequently. It’s a vicious cycle and an important reason to have annual eye exams to ensure you are safe and healthy with contacts. The fact is, wearing contacts – even under the best of circumstances – is tough on the surface of the eye. Fortunately, there are other options. Going back to wearing glasses is an option, but for many, feels like a step backward on the vision correction journey. Electing to move away from corrective lenses leads toward a path of vision correction procedures. Most people with vision issues have some familiarity with LASIK. Only those who have taken the time to investigate and have a personal consultation to learn if they are a candidate for laser vision correction really understand its tremendous value; particularly after years in contact lenses. With the ability to treat a range of vision problems, including nearsightedness, farsightedness and astigmatism, LASIK offers a permanent way to have excellent vision while eliminating the risks posed by extended use of contact lenses. If you are struggling with contacts or contact lens problems, it is time to visit your Optometrist to evaluate the health of your eyes and address any ocular surface conditions. Recent studies have shown patients who chose LASIK have a reduced incidence dry eye symptoms. This may be due to the diagnosis and treatment of underlying, pre-existing ocular surface disease prior to the procedure and that having LASIK gave eyes the break they deserved from contact lenses. With today’s advanced technologies delivering excellent vision outcomes, it’s an ideal time to take the next step in your vision correction journey to learn if LASIK is a good option for you. If you are ready to move on from contacts and glasses, contact ReVision LASIK & Cataract Surgery at 1.800.475.2113 to schedule a complimentary LASIK consultation.